Since 2000, Pilotvibe has been supplying custom music, sound design and audio production for interactive agencies and leading brands. Adobe, AOL, American Express, Atlanta, Capella Online, CaseMate, Chevrolet, Datalink, Dodge, Ford, Garage Games, General Mills, Guidant, Hasbro, Intel, Le Chateau, Marvel Comics, The McKnight Foundation, MGM, Minnesota Opera, Nike, NSF, Old Navy, PBS, Pepsi, Polaris Industries, Puma, Reebok, Sony-Erickson, Sony Pictures, Target, Toshiba, TSC, Union Pacific, United Health Group, University of Minnesota, UV Vodka, Valparaiso University, Victory Motorcycles, Wells Fargo, Western Union. 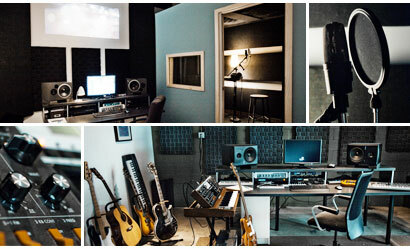 The Pilotvibe HQ contains 2 production suites based around Digidesign ProTools 8 systems. Suite B contains a spacious isolation booth ideal for voice over recording, foley work and conducting interviews. The studio is stocked with a large SFX library, top shelf plugins, great microphones and an array of real and virtual instruments.